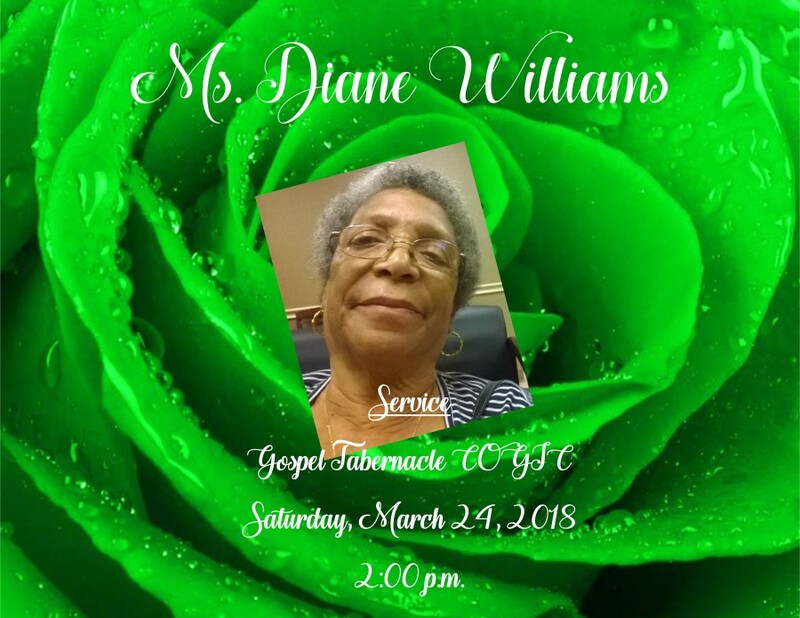 Ms. Dianen Williams, 72, of Selma, Alabama passed away March 17, 2018 at Vaughn Regional Medical Center. Services will be held at Gospel Tabernacle on Saturday, March 24, 2018 at 2:00 p.m. Cremation will follow at a later time. Ashley's JH Williams and Sons Funeral Home humbly thanks the Williams family for selecting our firm to finalize the final rites of passage for Ms. Diane Williams.